The Ark Natural Health Clinic above our shop offers a number of complementary therapies, treatments and classes. Whether you need help with energies and emotions, musculo-skeletal aches and pains or allergies – or you would like to participate in one of our classes and workshops, we can help. All practitioners are fully qualified and work to the highest professional standards. See our individual therapy pages using the Clinic drop down menu above for specific therapies and contact details. If in doubt about the best approach for your condition, please call in to the shop for advice. 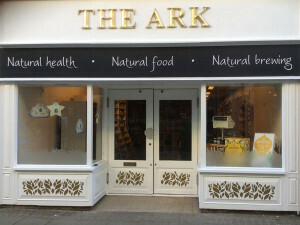 Alternatively, you can email us on info@thearkhaverfordwest.co.uk or call us on 01437 767499. Some therapies are offered on a flexible basis on varying weekdays and other therapists have a specific weekday with us. Contact the individual therapists to book an appointment. Mediation with West Wales Mediation and Focus Mediation. Pilates class with Pip Marsh on Thursdays at 1.15pm. Booking essential. Ring the clinic on 01437 767 499 or the individual practitioners for more information.